Yesterday, I had a wonderful experience – sharing the My52WOW story with the Women’s Exchange in Winnetka, Illinois, during their Friday Salon. Among a wonderful group of women, I shared my experience, and heard from some amazing women, and they shared theirs, which blessed me and encouraged me. The topic for the afternoon was: Regaining Resilience after Extreme Loss. 1. Lean Into the Journey. In the upcoming weeks, on this blog, I will be sharing more about each of these steps – they are the extension of the lessons that I learned during the first 52 weeks of this journey…and the lessons that continue to encourage me continue on this journey with as much strength as I can and as much courage as I can muster. 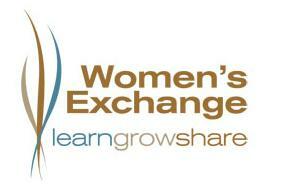 Thanks to the Women’s Exchange in Winnetka. I consider it a blessing and a privilege to continue to share my story. And a special thanks to my friend, Gretchen, an honored member of my emergency response team – who came to share in the discussion. « Do you need to have the same religious beliefs in order to be in a successful marriage?